A stock is a high risk investment that allows investors to own a portion of a company or corporation. Each piece or unit of stock purchased is also called a share, and investors who buy stocks are known as shareowners or shareholders. All corporations issue shares when their company becomes public and starts to trade on the stock market. There are two different types of Stock. The first type of Stock is called Common Shares. Common Shares are the very basic type of Stock that is offered to the general public. Common Shareowners have the right to vote at annual shareholder meetings, as well as the right to receive dividends on a quarterly or annual basis. The second type of Stock is called Preferred Shares. 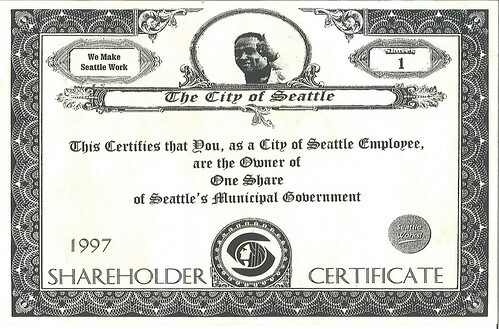 Preferred Shareowners do not have general voting rights at the annual shareholder meetings. However in return, they receive a higher guaranteed dividend; they are also guaranteed to receive their dividends first. A dividend is a quarterly or annual payout of a portion of the company’s earnings and profits. Therefore, it is possible that all Preferred Shareowners may receive a quarterly dividend while Common Shareholders receive nothing. It is also possible (as an example) that Preferred Shareowners may receive a 2.5% dividend while Common Shareowners only receive a 1.0% dividend. Stocks are generally considered high risk investments because they invest in one specific company. If you are new to investing I suggest you start investing in Mutual Funds before you start to invest in individual stocks. Mutual Funds give investors market exposure without the high risk of investing in individual Stocks. However, if you definitely want to invest in Stocks I suggest that you start small and work your way up to bigger and better things. Investing in Stocks can be high risk, but it can also be very rewarding. In order to get used to the fluctuations and volatility of Stocks I suggest investing a small amount of your portfolio, up to 5% maximum. When you invest in Stocks for the first time it is best to buy Stock of large corporations to help minimize risk. You will still get market exposure and it will help you get comfortable with the fluctuations in the value of your investment. Large corporations such as Google and Apple Inc are a good Stock investment for beginners. Stocks can be purchased through a Self Service Brokerage Firm. A Self Service Brokerage Firm allows investors to buy and sell Stocks themselves over the phone or online. There is no advice offered with Self Service Brokerage Firms, and in exchange the fees are lower than a Full Service Brokerage Firm. Self Service Brokerage Firms usually charge a per trade fee as well as an annual maintenance fee for accounts. Popular Self Service Brokerage Firms include E*Trade and TD Waterhouse. When we place a share trade (or transaction) with a Self Service Brokerage Firm we can purchase a certain number of shares or we can invest an exact dollar amount. As an example, if Google Inc. is currently trading at $45 per share we can decide to invest $200 and purchase a total of 4.44 shares, or we can decided to purchase a total of 5 shares which will cost us a total of $225 plus any applicable transaction fees. It is always best to consult a professional before deciding to invest. If you have any questions about a particular stock, or investing in stock please contact us and we will be happy to provide any information that may be helpful.